I designed this sun with a special message on the back which reads “check up”. 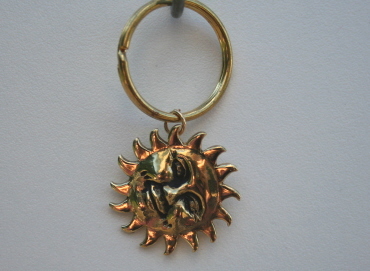 Comes as a necklace on a black leather cord or a keyring. Oxidized brass. Reminder; a portion of the proceeds goes towards The Abramson Cancer Center of the University of Pennsylvania.